All windows may have the same purpose, but every window is different. In fact, it is important to understand the advantages of each window type in order to make the best choice for your home or business. When looking at windows, crank-out variations are a worthwhile consideration. Crank-out windows are also known as roll-out windows. These windows are a type of casement window, which means that the unit has a single sash that is hinged on one side. These windows are opened using a crank handle, and the pane swings outward instead of moving up and down or side to side within the frame. Crank-out windows offer superior ventilation, and they also minimize air loss when the windows are closed. Many people also appreciate using a crank to open and close the window, which can create less stress on the back. These casement windows are not good choices for every situation. Due to the outward nature of the panes, crank-out windows are not ideal for places with lots of movement outside. Busy walkways are probably not the best places for roll-out windows. Roll-out windows may also be poor choices for windows that open onto porches or decks. Casement windows may have trouble accommodating portable air conditioning units. 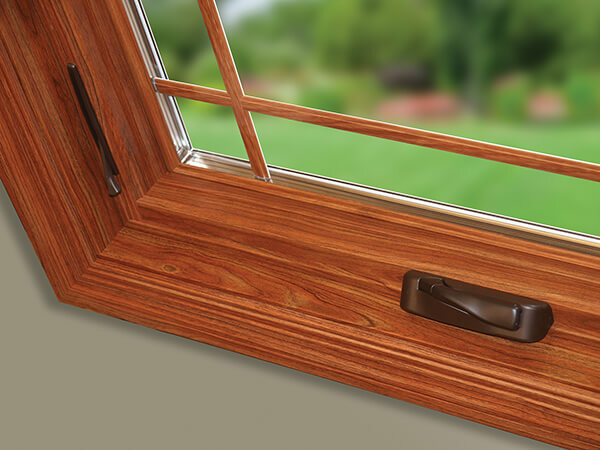 While select brands have been designed to fit casement windows, the majority are not fitted in this manner. This can be a consideration for some buyers. These instances notwithstanding, casement windows work well in most other residential and commercial contexts, and they are especially attractive if the window in question is taller. Some people also use casement windows to accent other windows. Small casement windows can be added above or below larger, decorative panes to provide additional airflow. Roll-out windows can be used in kitchens, living rooms, bedrooms and more. The decision to buy new windows should not be taken lightly. Windows are a substantial investment, which is why it is essential to know the right time to make the upgrade. If the window is damaged or if the frame has been compromised, it is definitely time to start looking at new windows. There should be no gaps in the frame, and the window should be easy to open and close. It is also important to look at broader considerations. Older windows often do not stop air leakage, which can increase energy costs. New windows can be in order if too much noise gets through the pane or if there is substantial sun exposure. New windows not only reduce energy consumption, but they provide noise reduction and superior UV protection as well. If you are considering new windows, be sure to contact Window & Door Outlet for window replacement services in New Jersey.